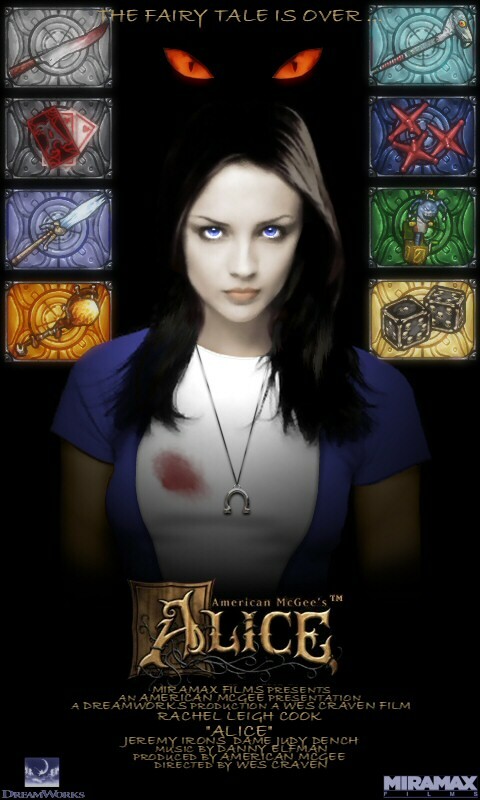 Well.. Evanesence current number one has a lot to answer for.. for some reason made me think of Alice here.. so i went back and tidied up some of the bits from my previous submission of this piece. The new monitor helps a lot.. amazing what I missed on the original pic cos the old monitor was so dark. Anyways, basically ramped up the colours a bit, tidied up the fades and masks and added some glows..
A digitally colored Andy Park sketch. 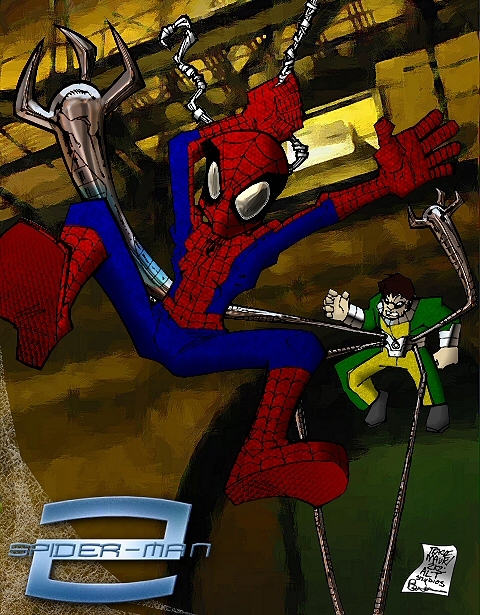 Started in PSP7, finished in PSP8. Tried to get the painted look by using smudge and different brush textures. 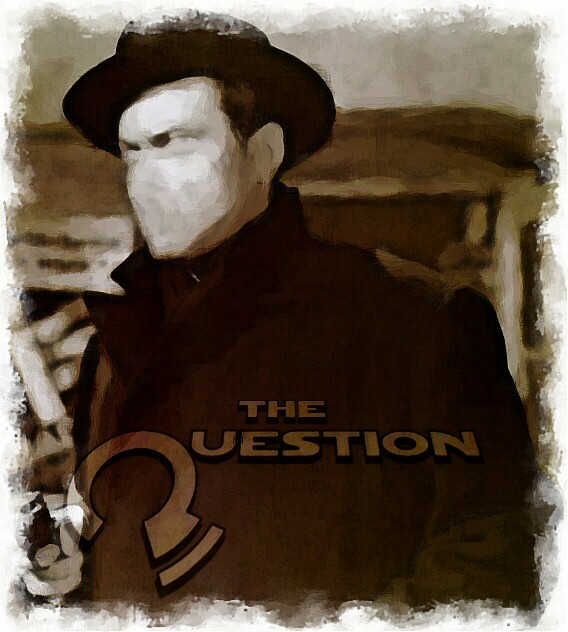 I had downloaded this pic of Orson Welles from the Third Man with the intention of using it for the Back to the 40s theme day, but i decided to go with Cap America instead. This was just a quickie experimenting with some filters. Smudged the face to remove the features. created the logo from scratch using vectors. added a drop shadow, them deformed the layer to look like it was receding. set this to soft light. applied a watercolor filter over the whole pic and then worked on the edges to look like the paint was layered on. Hippy July Xmas Vamp/Spidey 🙂 Hope you like you’re pic, I was going for a movie feel, but with a more street style costume. I even sneaked in an X-Factor T-Shirt. Based on the comments in the UIRs on my previous ‘BoneClaw’ Wolverine, I went back to the drawing board and began again. This is my first manip using PSP8. I started with a much better quality pic of Wolvie running towards the camera in front of what looked like a bluescreen. 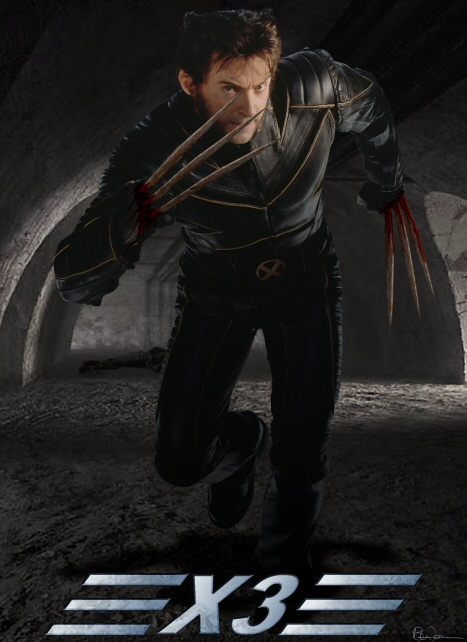 The tunnel background was downloaded from google and placed over the top of the wolverine image, I then cut out wolverine’s shape from the background. I used the original metal claws to line up rectangles of my bone texture and then used the lassoo tool to cut out the shape (i made them longer than the originals). I also used the lassoo tool in conjunction with HSL to darken the flat sides of the claws. The blood was drawn on a multiply layer and then smudged out. 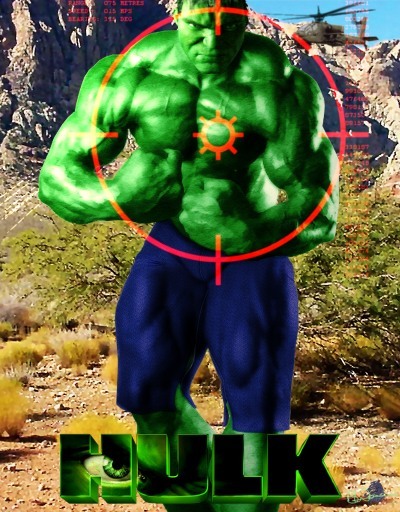 The body on the background was added from another google find. logo from scratch. Let me know if this is an improvement. Using the same selection I cut out the background with I created a filled shape which was blurred, and distorted to make the shadow on the floor. I also made a gradient filled selection to tint wolverine to match the background more. 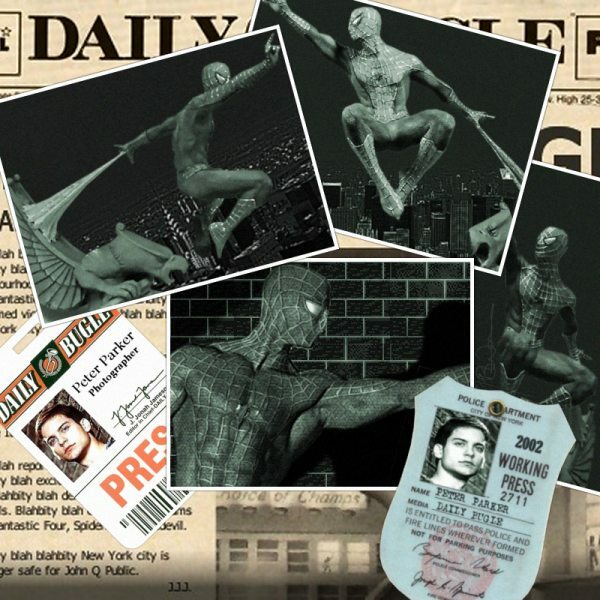 A closer look at one of the manipped Photos used in the final scene (used in my big spidey image and the portfolio collection image). I tried to put the backgrounds at an angle to give the pics a dynamic feel. 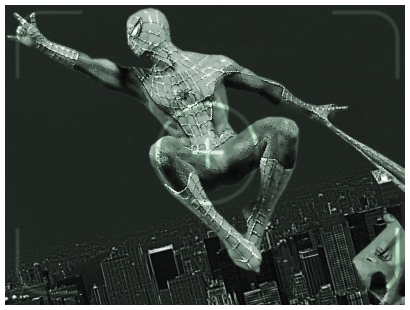 the pics were created using photos the model of the movie spiderman from various angles combined with excerpts from a panoramic view of manhattan at various angles. Another closer look at one of the manipped Photos used in the final scene. I tried to put the backgrounds at an angle to give the pics a dynamic feel. 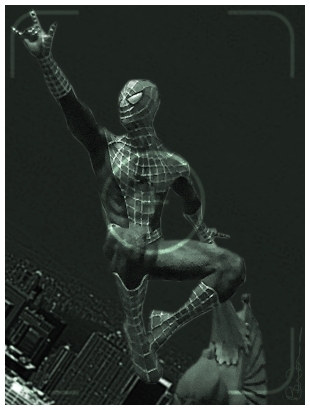 the pics were created using photos the model of the movie spiderman from various angles combined with excerpts from a panoramic view of manhattan at various angles. The panorama was actually a daytime shot which i made negative, then colorized a pale green, and set to multiply over the original pic – and made a night view. 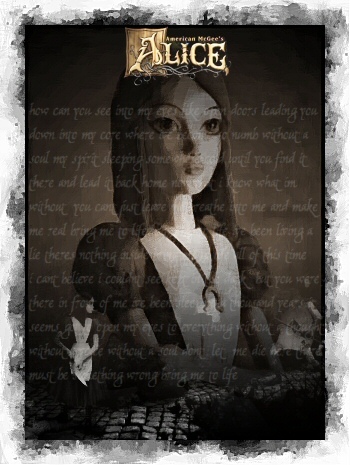 The combined model and background pics were tinged grey/green and a border added to make it look like a photo. 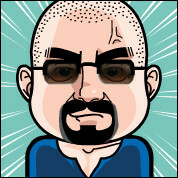 For these Individual pics I added the camera viewfinder graphics on an overlay layer. X3: Cry Havok and let slip the dogs of war! 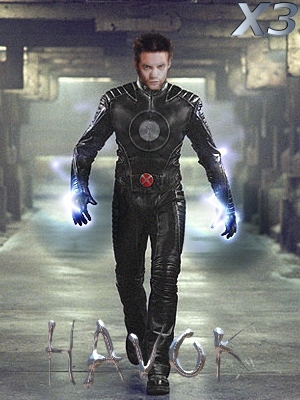 A concept for a movie Havok using the Mullet’s casting. 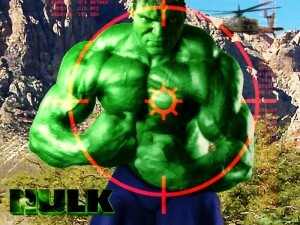 Just a quickie really, using the base pic of Wolvie from X2 & the head of Shane West. 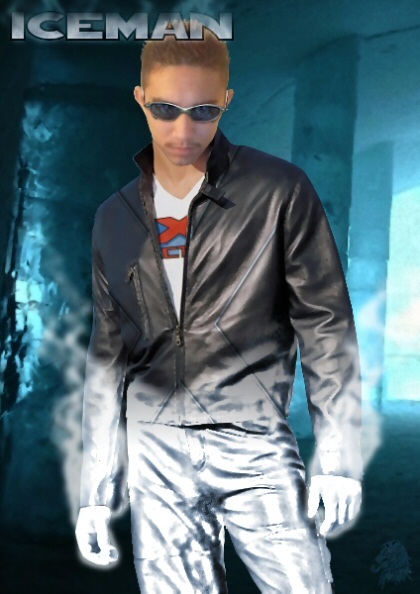 Remove the x on wolvies chest using the smudge tool then added some random noise. The havok logo is done using vector circles on overlay layers offset to give a raised effect. The power effect was drawn then is smudged and softened and duplicated onto a couple of other layers and blurred to give the glow. The black halo was built up using some shaded vecotr spheres on softlight blurred. All in all took about 30-40 mins including the time to find a decent head shot of shane. 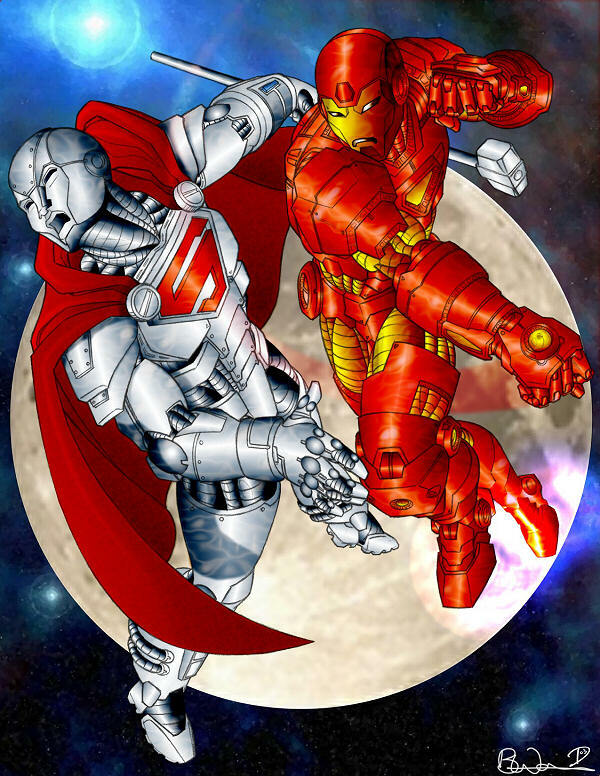 Just a quickie I threw together for this theme day, as Ultron has always been a pretty cool robot and villain. 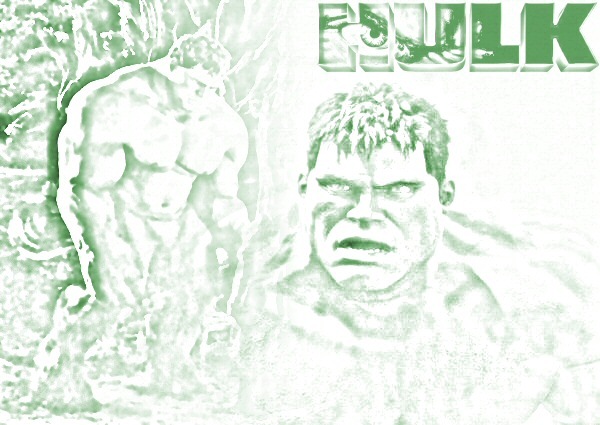 Started with the photo of the Ultron bust downloaded from the net, added a couple of different background textures, deformed to give a nice perspective. Added some gradient fills to simulate shadows. 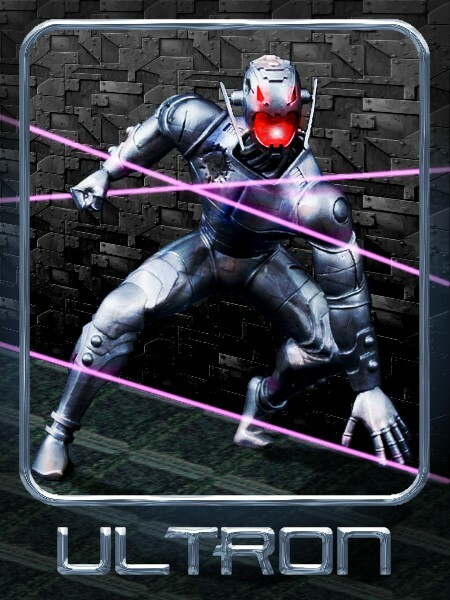 Added Ultrons shadow to the floor by creating a filled selection and deforming it, then blurring it. The laser beams and reflections in Ultron were created using blurred vector lines. Still looked a bit flat so I added another layer with the wall texture set to soft lift, and cut out ultrons shape to simulate the reflection. Finally added some glows to his eyes and mouth. The border and text was done with Eyecandy chrome filter. The font is Beast Machines (a transformer font). My attempt at colouring Dean’s great drawing. I won the coloring/painting contest over at C2F with this entry. Looking back at it myself, I think they both would have benefited from a bit more shading at the joints etc. Ah well. Hindsight vision is always 20/20! 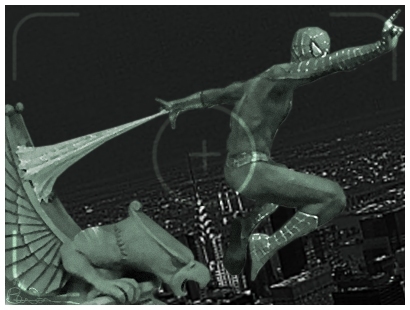 The pictures which make up this (and the following) preview pic(s) were created for to be used in panels in the Spiderman manip posted at the end of May. 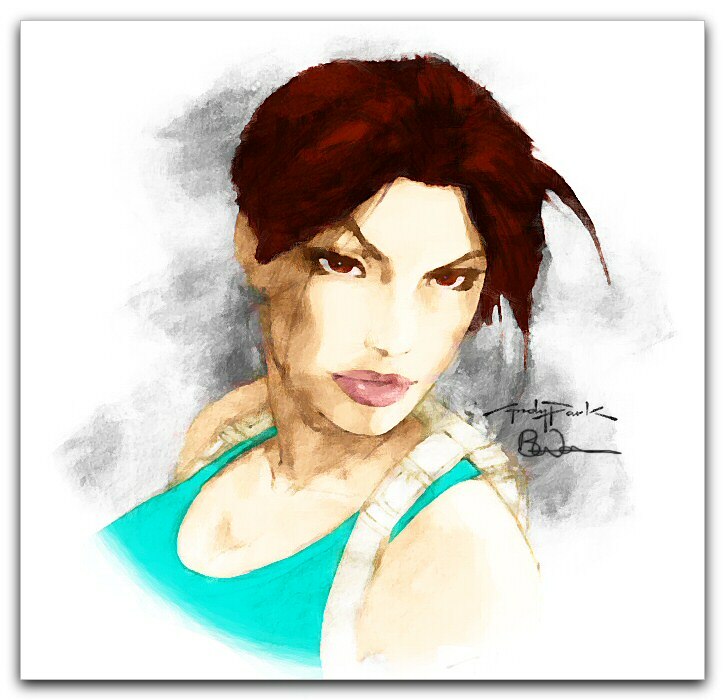 I found this sketch on Google and figured I would have a go at colouring it. I don’t know the artist other than it has initials PM on the wall. I decided to go for a lighter feel to the pic this time. 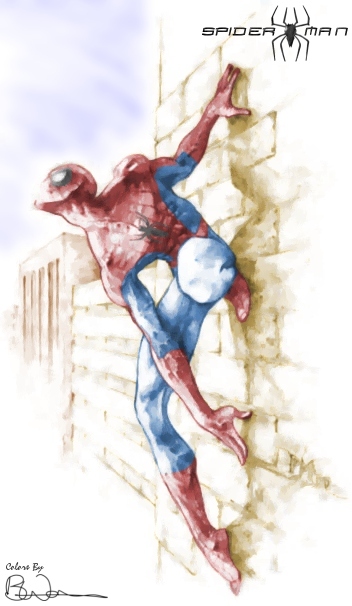 Done by colorizing the different sections using my wacom pen, then smudging it all for a soft painted look. The logo was done using vectors. 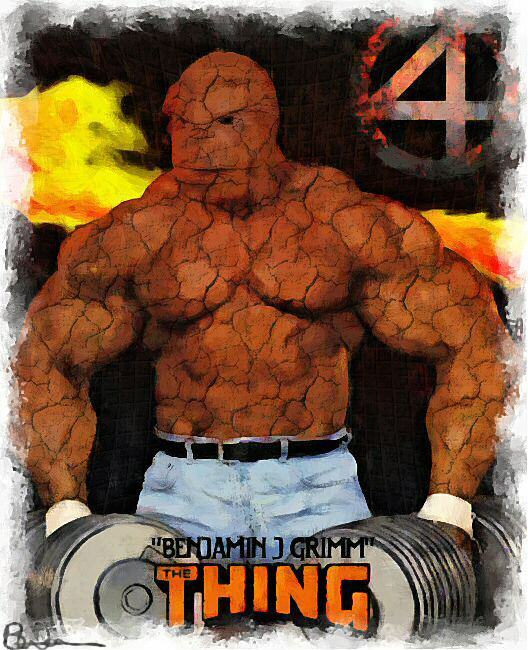 In response to a ‘challenge’ from Darth_Zaiyen over on the C2F forum, I had a go at doing a quick manip. Seeings as i seem to be have cobwebs on the brain atm..this shows Spidey’s view of New York from high up on the side of a building. 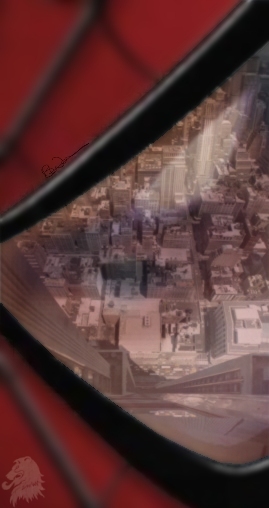 Used a photo of New York taken from high, the Spider-Man movie ‘EYE’ Teaser poster and an extreme closeup of Toby Maguire’s eye used as a reflection on the inside of the eyepiece.